The Brighton jetty isn't this wobbly, it is quite straight, I just like wobbly lines. 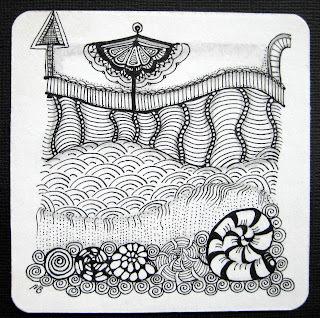 I have been lurking on your blog, but I just have to say how much I love your zentangles! 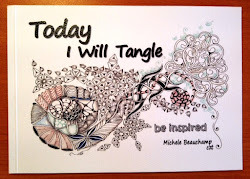 They inspire me to continue tangling. The pictures you paint are fabulous. Thank you for sharing. 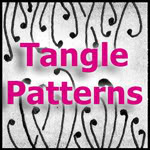 Thank you for lurking Penney, and happy tangling!! !